Dr. Angela Gonzales, Davis Facilitator and Davis Autism Facilitator/Coach, explains the ideas that support Davis methods. I have several friends with children or adults that have autism. Is there a book explaining how to help persons with autism? We are in southern Cook County Illinois. Solie, the book Autism and the Seeds of Change at listed at https://www.davismethod.org/resources/books-and-kits/ explains the Davis Autism Method. It is not a how-to book, but rather it explains the history of the Davis approach and then goes over the full program. It is intended as a resource for someone considering the program, or for family members or teachers who are working with someone who is following the Davis program with a licensed Davis Autism Facilitator/Coach. Also, the Davis autism program can be done as a coached program, with the facilitator guiding and helping the person who is working with the autistic child or adult, rather than working directly with the child. There is a licensed Davis provider in the Chicago area — see https://www.davismethod.org/loc/illinois for listing information. i am looking for davis facilaters in pakistan.please let me know how to go about? This site lists all licensed Davis Facilitators worldwide. Unfortunately, there currently are no providers in Pakistan. I’m looking for Davis facilitators in the Seattle, WA area. Can you please let me know how or where to go? You will see the locations of each facilitator with the map pins that appear on that page; you can also scroll down to browse through their listings. Hi, i am a mum of a newly turned 6 years old and she is not reading as yet, i am curious to know if she does have dyslexia. We live in Belize and wondering what assistance i can receive in getting her tested as well as assisting her to learn if she does have dyslexia because we don’t have any programs set in place here to assist. 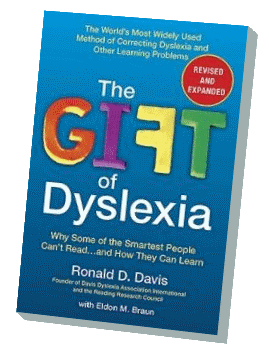 Sefania, with Davis, we only provide dyslexia services to children age 8 and over. With younger children, age 5-7, instead we introduce them to Davis tools and methods so they will have the learning strategies needed to prevent them from falling behind. We call this the Davis Reading Program for Young Learners. The kit has everything that the you would use if getting a Young Learners program from a facilitator, except for the facilitator to guide and coach you. But the kit comes with a manual with instructions on what to do. There is no need for a test to determine whether or not your daughter is dyslexic for her to benefit from these tools – any child who is not yet reading will benefit. It is very difficult to get an accurate assessment for dyslexia for a 6 year old in any case, because at that age it is hard to sort out what is dyslexia and what is simply part of the normal developmental process. So one can tell if a child is “at risk” for dyslexia or has dyslexic “tendencies” if they are frustrated and having difficulty with age-appropriate pre-reading and beginning reading skills — but not so easy to sort out what aspects of the problems are simply due to immaturity. But fortunately, the Davis tools will help no matter what. I am also from Belize and having similar issues. The difference is that our counselor has identified Dyslexia as the major cause or frustration leading to anxiety in our 8 year old. I am currently in the process of identifying assistance. Sefania, have you gotten any help in Belize? I am an adult with dyslexia. I do not live near any facilitators. I live in Albany, NY. Any suggestions. Alicia, most faciliators will be happy to arrange an initial consultation by phone or videochat so that you can discuss your problems and explore ways that a Davis program might help. Many facilitators are also able to travel to their client’s home if it not possible for the client to travel to them. Keep in mind that a standard Davis program is usually given over the course of 5 concecutive days. My 12 year old son is Dyslexic. I am keen to train and get certified in the Davis program. While i have seen some contacts of practitioners in Kenya, i am keen to support my own child through the program. Please give me all the information required to get me to certify. Regards. I suggest that you contact her to discuss whether a Davis-based program might be helpful with her condition. A lot would depend on the extent of her specific injuries.